Having fresh home grown herbs available for your kitchen is a blessing but you need to work really hard to keep up the production and the whole setup requires a lot of care unless you want to see your precious plants wither away. To bring a solution to this problem and to come up with a system that would require minimal care, a company called Click and Grow launched their Kickstarter campaign back in March, 2013. 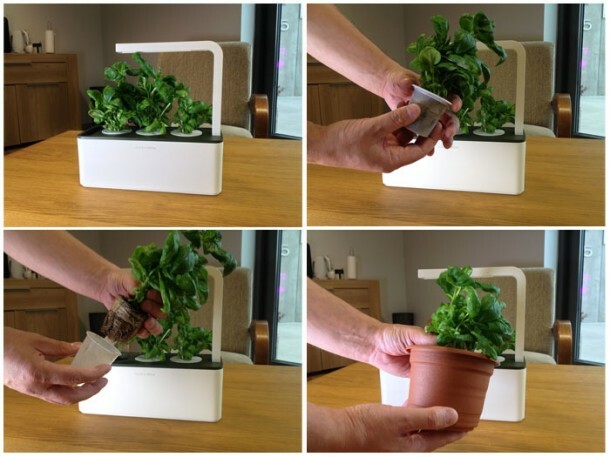 The result; Smart Herb Garden is now available in market and is capable of growing herbs for its owner without requiring any input or constant monitoring. The Smart Herb Garden takes away all the hard work away from growing herbs. It employs the use of cartridges which come with seeds and company’s own invented, ‘Smart Soil’. The idea is to deliver the right amount of oxygen, nutrients and water to the plants in question. Currently available cartridges include mini tomato, chili pepper, salad rocket, basil, lemon and what not. If you purchase this gadget, you will be basically buying a starter kit which will include basil, thyme and lemon balm. 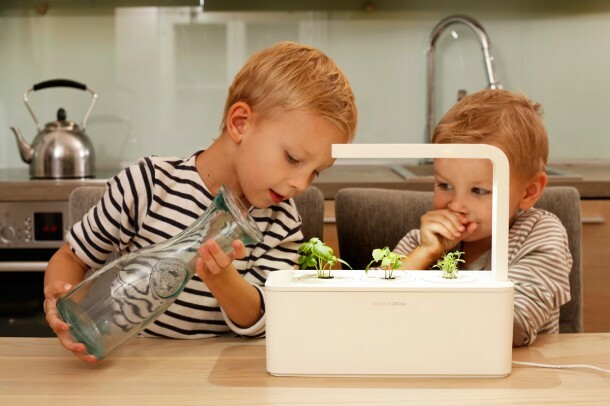 Users will be capable of growing up three kinds of herbs/vegetables simultaneously. The next step involves how the gadget works; well, it is simple enough. All that you need to do is to add some water and then plug the gadget into an electrical socket. You don’t need to worry about the sunlight availability either since the device comes with an LED light, which provides enough light for the plants to thrive. The device will then begin monitoring the progress of the seeds with the help of software and sensors and shall vary the growing conditions when needed. The indicator on the device will let you know when you need to refill the water level but other than that, you need not worry about anything at all.